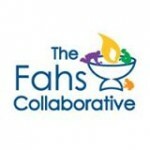 The Fahs Collaborative at Meadville Lombard Theological School chooses 3 Fahs Fellows every year to explore innovative areas of faith formation. This year one of the Fellows is Jamil Scott. In addition to being the Director of Lifespan Religious Education at the Unitarian Universalist Church of Fresno, California, he is attending seminary at Naropa University, a Buddhist inspired contemplative University in Boulder, Colorado and is in the Religious Educator Credentialing program. Jamil has 17 years of meditation experience in the Zen, Vajrayana, and Dzogchen traditions, and leads contemplative practice and meditation workshops, including a Dharma Camp for young people. It is no surprise that his area of study as a Fahs Fellow is transformative contemplative practices in the religious education setting. To that end, Jamil is conducting a research study. Please take 10 minutes to answer 10 questions by clicking here. We will report back on Jamil’s findings here on this blog. 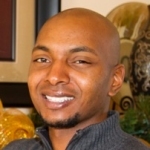 Alsos part of his Fahs fellowship research, Jamil is collecting information regarding current usage and sentiment of/about current meditation and contemplative offerings in adult and youth religious education. By contemplative he means any practices that integrate mind/reason with body awareness and heart opening practices. This could be in the form of sitting meditation, yoga, Coming of Age retreats and more. The results of this survey will be used in development of his Fahs Fellowship project and made available to the public. If you would like to speak with him further about this research, please feel free to email him at dlre@uufresno.org.